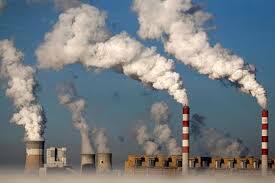 Industrial pollution is not still under “control” in India like in many countries in the world. When I expressed my concern to my Professor Friend, he asked me to join a brainstorming meeting that was to be held in one the rooms of the Ministry of Environment and Forests and Climate Change (MoEFCC). “Oh Dr Modak, how do you expect that a Policy formulated some 30 years ago will still be applicable? We must look at the changing situation” Professor frowned at me. “You are so negative and pessimistic Dr Modak” Professor lit his cigar and continued “We have done so much progress now in terms of holding conferences and round-tables on topics that are hot and globally discussed such as – resource efficiency, circular economy. Gone are the days when we discussed treatment technology and waste disposal. These topics are now rather mundane. We are also doing a lot when it comes to sustainability. Many industries are doing sustainability reporting, moving towards integrated reporting and now interested to follow TCFD (Task Force on Climate Related Financial Disclosures). Professor was right. We now no more discuss basic obligations such as compliance (or pollution control). That is just conventional and can be handled by meeting requirements of the Pollution Control Board somehow. All this work is pushed under the carpet – and to be handled by the poor Environmental, Health and Safety managers/engineers. The new breed of CSOs walk on the carpet with new concerns and interests such as Sustainability, Corporate Social Responsibility and now Corporate Environment Responsibility etc. Thats the jazz or the sweet music in the concert of industrial pollution management. I thought I must point out to the Professor that his reflections were limited to the large corporates in India especially the multinationals. The Small and Medium Enterprises (SMEs) in clusters was perhaps the major issue that needed to be addressed along with missions such as “Make in India”. The early days of CETP scheme brought me memories of Walter Vergara of the World Bank who was then the Task Team Leader for India’s first line of credit “Industrial Pollution Control”. Walter was an amazing salesman. I was always impressed with his speed, finesse and ease how he wrote the minutes of the meeting and back to office reports. I learnt a lot from him. The IPC Project included loans to industries through IDBI and ICICI for building pollution control facilities (to achieve compliance), support to the scheme of CETPs and strengthen the regulatory functions at four PCBs that included modernization of the laboratories, providing training and introducing computerization. The project outlay was around 180 million USD and the Project operated between 1991-1997. The IPC Project was cast following the most selling proposition or paradigm of carrot and stick. The Project strengthened PCBs for better enforcement. This was expected to lead to pollution control projects/investments at industries for meeting compliance. SMEs that could not install pollution control plants on individual basis were supported through “subsidized” CETPs. (I had a reservation on the approach of capital-based subsidies for CETPs. To take advantage of the proportional capital subsidies, many CETP proponents “inflated” the project costs. My suggestion was to provide operational subsidy like the annuities we talk of today for road projects. Under “my scheme” a CETP company would receive operational subsidy every year based on CETP performance – and as audited by a third party. Of course, this suggestion was thrown in the “waste paper basket”). At that time, IPC in Brazil was already a success and so also in Eastern Europe but the Indian IPC Project was unique because of the CETP component. Walter was very bullish about the IPC project. The CETP component in IPC Project did well. It enjoyed a 50% grant from the State (25%) and Centre (25% that was padded by the World Bank) with 30% as loan (from IBDI – again supported by the World Bank) and only 20% of the investment was to be contributed as equity by the industries. The scheme required creation of a company (in todays parlance a Special Purpose Vehicle) by the industries operating in a cluster. In some sense this was an important institutional reform but unfortunately it didn’t receive the attention it deserved. Today, the Maharashtra Industrial Development Corporation (MIDC) and MPCB have directed CETP companies to ensure a comprehensive compliance and take overall responsibility not limited to CETP. The PCBs monitored the performance of the CETPs. The CETP companies were made responsible collectively to ensure compliance. There were of course requirements to ensure that each industry did minimum pre-treatment so that the CETPs remained within the design pollution loads. The individual companies were however insulated or shielded behind the CETP. It was hard to identify who defaulted. The PCBs and CETP companies had to come up with innovative monitoring efforts and set up surprise inspection squads. Most of the CETPs in India today do not operate to meet the stipulated effluent standards. Strengthening of the PCBs was a slow process. The procurement agent RITES couldn’t meet the Bank procurement requirements and there were significant delays in receiving the lab equipment. Project management at PCBs was poor that is the case even today. So, when the lab equipment arrived, the laboratory infrastructure was not ready, and the boxes of equipment remained unopened even over a year. Further, people who received training were not the right ones – and those were the right ones got transferred post training! Computers were bought with no application software ready and so, most staff used computers to play “digger” (a popular computer game those days!). So, there was lot that one could learn from IPC Project. Because of the successful disbursement, IPC project was followed by Industrial Pollution Prevention (IPP) Project that had a similar outlay of 180 million USD. IPP focused on pollution prevention and helped industries to modernize in this process. by adopting cleaner technologies. The IPP project was initially managed by Walter Vergara and later by Bekir Onursal with significant involvement of the Sector Manager Richard Ackerman. I had a good fortune to work on both IPC and IPP. I would suggest my readers to access the Implementation Competition Reports (ICRs) of IPC and IPP as they will give you a great insight on India’s history on Industrial Pollution Control. (Today pressures on industries for pollution control have changed and these must be recognized towards a well-orchestrated in the national industrial pollution abatement policy. For exporting industries, market regulations in the form of eco-labels and restrictions such as RoHS and WEE are asking for a change. The increasing role of Extended Producer Responsibility (EPR) and pressures from the global supply chains is widening the canvas of industrial pollution management. When I mentioned about these ideas to Professor, he wasn’t much impressed. “That’s all old stuff or something we already know” He said in his characteristic negative tone. “But Dr Modak, in todays political climate we must start with a good slogan” Professor said. I was astonished to see that Professor was really serious and was willing to spend so much time on deciding the slogan than on the actual policy! I worked on several projects on industrial pollution control in different countries. These projects followed the structure of IPC/IPP in India. One of them was Samut Prakarn Wastewater Management project financed by ADB and JBIC in Thailand. The Project did use the slogan 20/20 for the demo investment projects at industries and included financing of a large CETP. Another series of investment projects that I worked on was Egyptian Pollution Abatement Project (EPAP). EPAP is currently in its 3rd phase with finance from European Investment Bank. The effectiveness as well as sustainability of all such projects has been low. In 1980., I told Professor Nilay Chaudhury that because of CPCB and PCB, pollution has increase in India. Most of PCB and may be of CPCB are corrupt. They are bribed by the industrial house. Not only Govt staff but the s called politicians, industry inspecters do get money or some other favour , depending upon nuisance value. This was personal experience in Colkata. When we reached paper mill, the chief engineer showed me the result of BOD as 10,13 and 12 mg/l. The certified values by PCB. What to say. This is impossible with no treatment. My little understanding goes that for such waste water it could be very high – may be greater than 500mg/l. The have shown us clean water from cooling tower. I left the scene and todl my senior that please do not involve me in such work. Policy framework, beautiful ppt presentation and writing will never pollution level as acceptable. The solution is: Put behind the bars the corrupt peiple. Can we do this> The answer is no. We elect our respresentatives, knowing fully that they spend a fortune to get elected.